Pictured: Admiral Isoroku Yamamoto as played by Soh Yamamura in the movie Tora! Tora! Tora! In the scene depicted, he considers the implications of the successful Pearl Harbor attack. 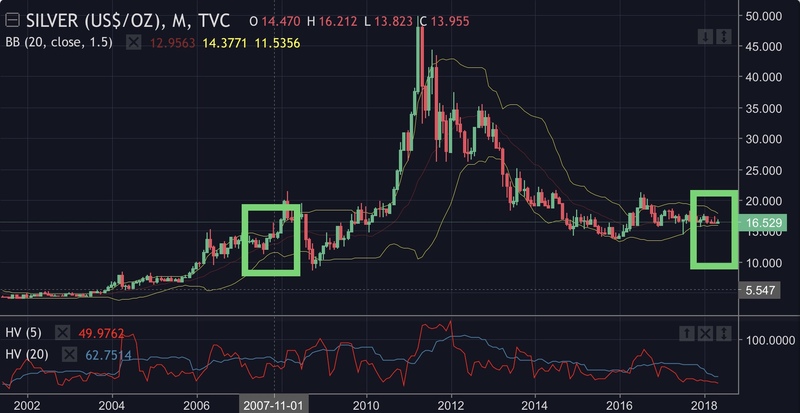 1- Real Silver volatility hasn’t been this low since 2007. 2- This taken alone implies nothing. We could continue flatlining forever theoretically. But wow.